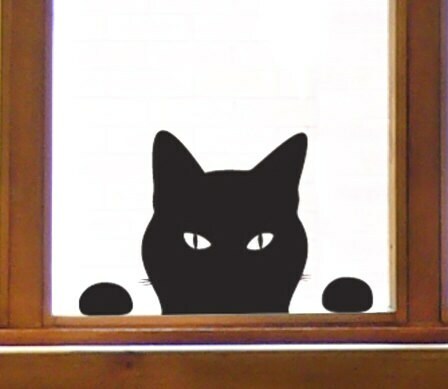 Cat Window Sticker - Cat Wall Sticker, Peeping Tom decal. Charming black cat wall decal or window sticker showing the cat scratching to come in at the window. 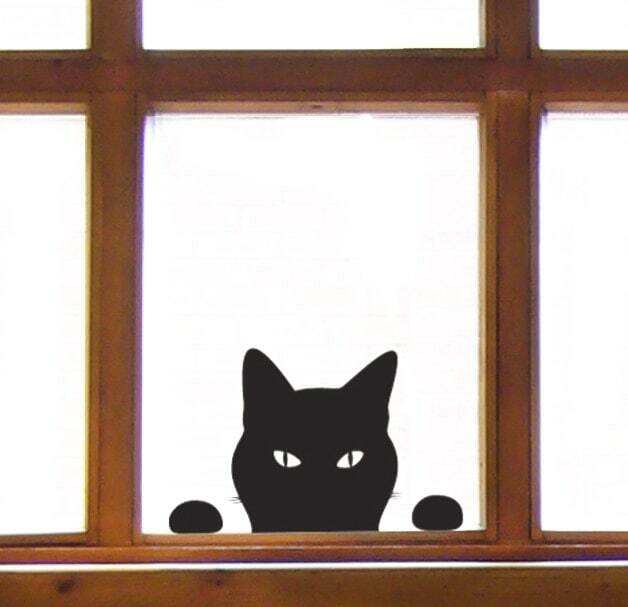 Whether you're a crazy cat lady, a cat lover or meow-sician this peeping tom cat sticker is purr-rect to brighten up your place. I'm kitten you not ! So paw-lease, no pro-cat-stination, just cease the meow-ment ! Don't wait till Cat-urday ! OK - that's enough ... I need a cat nap ! Please Note : Do not adhere to precious, expensive, uneven or infirm surfaces. Doing so may result in surface damage and / or discolouration. Always remove decals slowly and carefully. Not for use by young children. Size - approximately 6" x 8"
Love these graphics, this is my second order from this shop for a funny Halloween display! Arrived super quickly ( which, considering we are on different continents, is pretty awesome👏). Thanks! Applied this to my mother's kitchen window! Funny surprise!! Product received in perfect condition. Due to ordering during the holiday season, it took about a week longer to receive but was definitely worth it! Jolyon is a pleasure to work with. Je suis ravie!!!!! Merci pour tout et votre proffesionnalisme. A tr?s vite. ??? ?